‘Spring into Fashion’ Sponsor Highlight – Sweetheart Designs by Ute! Let me tell you the picture doesn’t do these earrings justice! When I saw the real thing I was so impressed with how vibrant and colorful they are. One lucky winner is gonna be so happy! 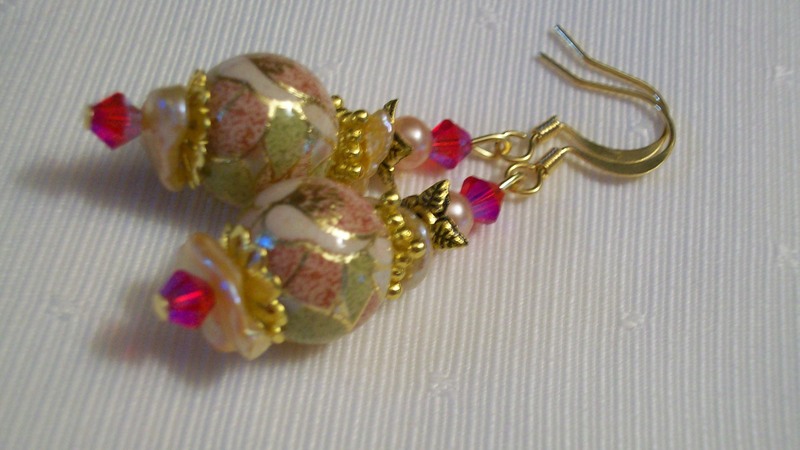 This set is called ‘Love Under The Stars’ and it is a lovely set for a gift or for yourself. Ute has always had a fascination with beads and with her imagination, she creates fascinating pieces. She has been making jewelry for more than 2 years now. Do yourself a favor and go check out Ute’s shop, Sweetheart Designs by Ute. 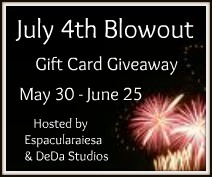 Dont forget to come back to Espacularaiesa and get in on your chance to win a set of earrings during Spring into Fashion Blog Hop starting April 25. Thank You Ute for a gorgeous prize for my readers! ‘Spring into Fashion’ Sponsor Highlight – Abby’s Thirty-one Gifts! 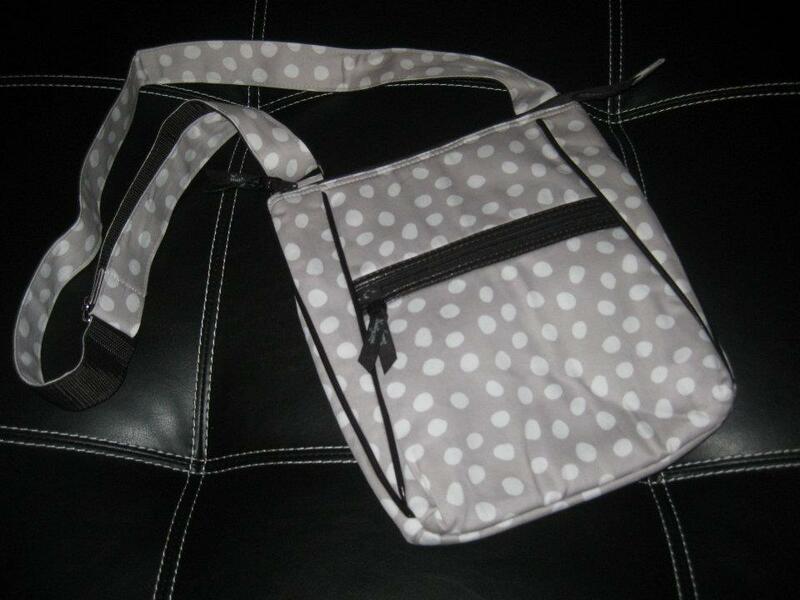 Abby is also giving away a Lots a Dots Organizing Shoulder Bag to one of my lucky readers during ‘Spring into Fashion’ hop starting April 25th! 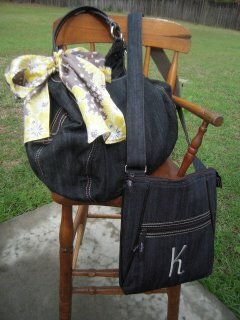 You should check out all the great products at Abby’s Thirty-one Gifts. If you want to keep up with all the sales and great promotions you can also ask to join Abby’s 31 Gifts facebook Group. Right now Abby is promoting this month a Spring Bundle. The sale is for every $31 spent, you get a customer special. So Spring Bundle idea will be to purchase a wallet and accessory (eye-glass case, zipper pouch, key fob, etc) equaling $31, get the purse for ½ off an you’d have a new ensemble for Spring/Summer. There is no $ limit on the sale either. Once you spend $31, you can get the 5th avenue purse (retail $125) for ½ off. Every $31 will get you a ½ price purse so you can stock up for Mother’s Day, Graduation, Vacation, etc. Sounds like a great deal. Dont forget to come back to Espacularaiesa to enter Abby’s Thirtyone Gifts giveaway during the ‘Spring into Fashion’ hop starting April 25th and you might score a new bag of your own! Thank you for such a great giveaway prize, Abby!